In RFC 2616 (chapter 9.5) is clearly written that it is not allowed to cache POST requests, unless the response includes appropriate Cache-Control or Expires header fields. In iOS 6 it seems apple cache sometimes POST requests. In iOS 6 Apple also implemented the ability to debug websites via USB & your desktop browser like Chrome for Android. With this new feature it is easy to debug such problems. The marked post request looks like an uncached request which goes to the remote server. But that’s not the truth. The request doesn’t contact the remote server – it only returns some old cached data. So don’t believe in the new remote debugging tool. Here it shows fictional rows/data. The response date in the header is some minutes old and also the data shown is not up-to-date. 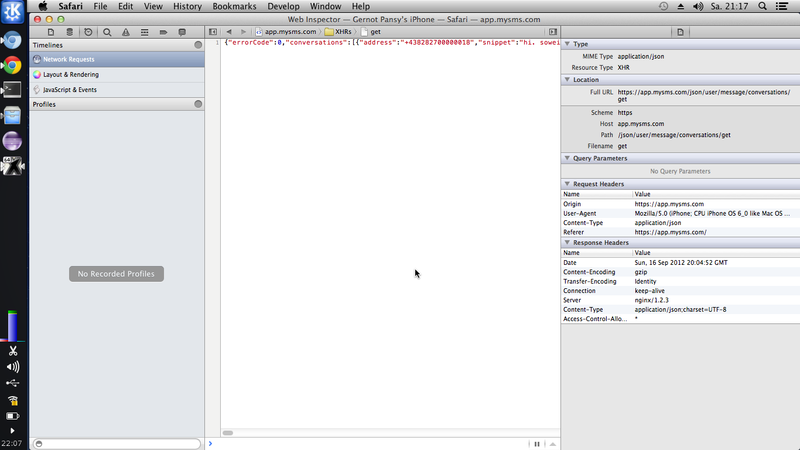 The problem occurs in Safari browser and in the UIWebView. 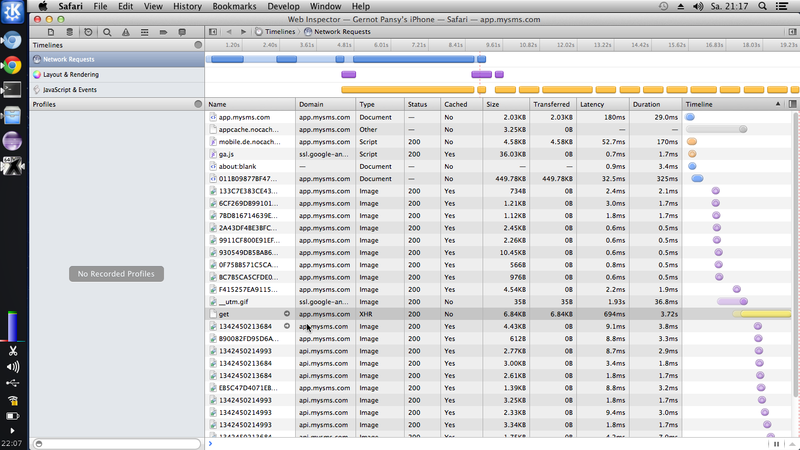 And it seems that the caching only occurs in the loading phase of a website. Perhaps Apple tried to improve the loading time of some sites but have forgotten that it is not allowed to cache HTTP POST requests. It works correctly if you add the header fields you normally use on HTTP GET requests to avoid caching.